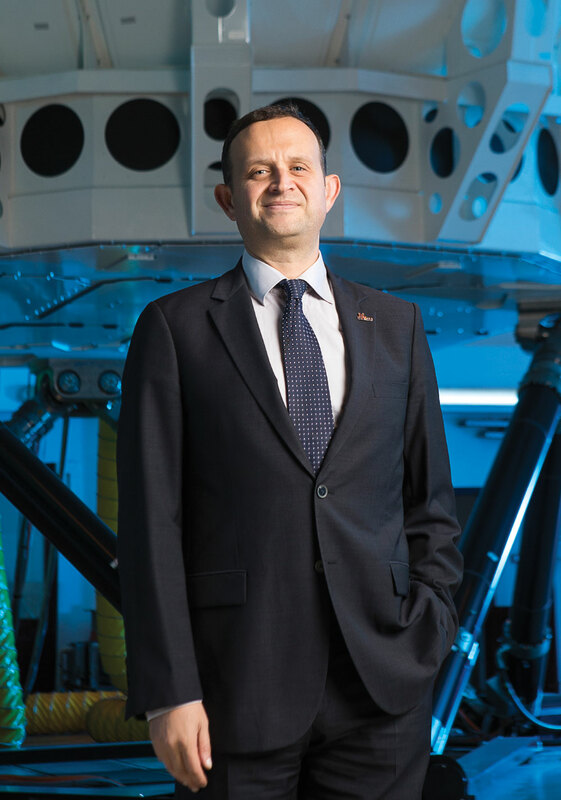 In this exclusive interview Mr. Lütfü Özçakır - Vice President, Training and Simulation Technologies Division, Havelsan - discusses the company’s impressive achievements, current projects and Havelsan’s appetite and readiness for new markets. Defence Turkey: Dear Mr. Lütfü Özçakır, first of all we would like to thank you for your time. You are assuming a significant responsibility at Havelsan as the Vice President of the Training and Simulation Technologies Division. Can you give us an overview of the responsibilities of your division? Our division performs a wide of range activities within the overall structure of Havelsan. Our areas of activity are comprised of the manufacturing of both commercial and military simulators and simulation systems and the provision of all types of integrated maintenance and logistical support following the delivery of the systems to the clients. Moreover, through an initiative that we have developed over the last two years, we have been developing virtual and actual integrated training solutions in various functional areas by utilizing our technological infrastructure and offering training services on many subjects; providing these services to both our security forces and to the friendly and allied countries as determined by agreements upon request. Defence Turkey: Mr. Özçakır, you recently delivered to Qatar the AW 139 Full Flight Simulator which was developed and manufactured for the Qatari Armed Forces. Could you please briefly tell us about the development, manufacturing process, the delivery schedule as well as story of this program? Within the scope of the “AW139 Helicopter Simulator Integrated Training Center” Project that we launched in May 2013, the Full Mission Simulator, Flight and Navigation Procedures Trainer, Tactical Control Center, Rear Compartment Crew Trainer and Debriefing System were designed and manufactured for the training requirements of the helicopter pilots and operators of the Qatari Air Forces Command. As part of the project, the Full Flight Simulator, the production stage of which was completed last year, was dispatched to Qatar in parallel with the completion of the ongoing construction of the Training Center in Doha within the second half of December 2016. The commissioning is planned to take place in April 2017 upon assembly completion. Within the framework of the project, the operational services will also be provided by Havelsan for three years following the integration of the simulators in Doha. During the realization of this project and at the procurement stage of several of the software and hardware work packages, we collaborated with many local corporations in our business eco-system. Our simulator was manufactured in compliance with the standards having a Level D qualification which will be granted by International Aviation authorities. Defence Turkey: You will also be providing the operational services of these systems for three years in Qatar as part of this program. Could you please elaborate upon the content of this package? Havelsan will be procuring the maintenance, retrofit and logistical support services of the Qatar AW139 simulator for three years, similar to the Integrated Logistical Support activities that we have been implementing for the existing simulators located at various military bases and units of the Turkish Armed Forces. In this way, the simulators will be unceasingly active and thus the training services over the simulator system will be executed without interruption. We have accomplished similar simulator operation services in South Korea, Pakistan and Saudi Arabia in previous years. Concurrently, this project generated a close relationship with the Qatari Air Forces. Our client was quite satisfied with our products and services as well as with Havelsan in general. I would also like to announce that we have already reached an agreement to extend the content and period of these operational services. Defence Turkey: Dear Mr. Özçakır, Havelsan also untertaking the development and manufacturing of the simulators of the T-129 “Atak” helicopters as part of the ATAKSIM program. Could you please inform us about the responsibilities regarding this project and provide a synopsis of the status of the project? Havelsan holds the ATAKSIM project in high regard, it is very significant for us. This is an SSM project - the Undersecretariat for Defense Industries. The objective of this project is to contribute to the fulfilment of the requirements of Turkish Land Forces Command in the training of pilots and technicians through the developed T129 “Atak” helicopter simulators. In general terms, the project consists of one T-129 Full Mission Simulator (FMS), one T-129 Partial Task Simulator (PMS), one Weapons and Avionics System Trainer (WAST), Computer Based Training System, Virtual Maintenance Simulator (VMS) and three Debriefing Systems. As Havelsan, we are cooperating with approximately twenty business partners in cooperation with TAI and Aselsan for the development of these products. We have a splendid local content rate (80%) within the scope of the ATAKSIM project. In this project, we are indigenously developing all the aerodynamic and tactical peripheral software that are of critical importance for the simulation. Our core responsibility within the scope of ATAKSIM program is to integrate the products we procured from our solution partners with the products developed by Havelsan and to render them as an end product on which the users are trained. These products will be delivered as turn-key products to the Simulator Training Flight Command premises within the Army Aviation Academy Command. Thanks to the simulator to be delivered, TAFF will be able to draft and execute tasks and flight training with security and cost-efficiency. In a real-world live environment this type of training is extremely hazardous and the financial ramifications are exorbitant. 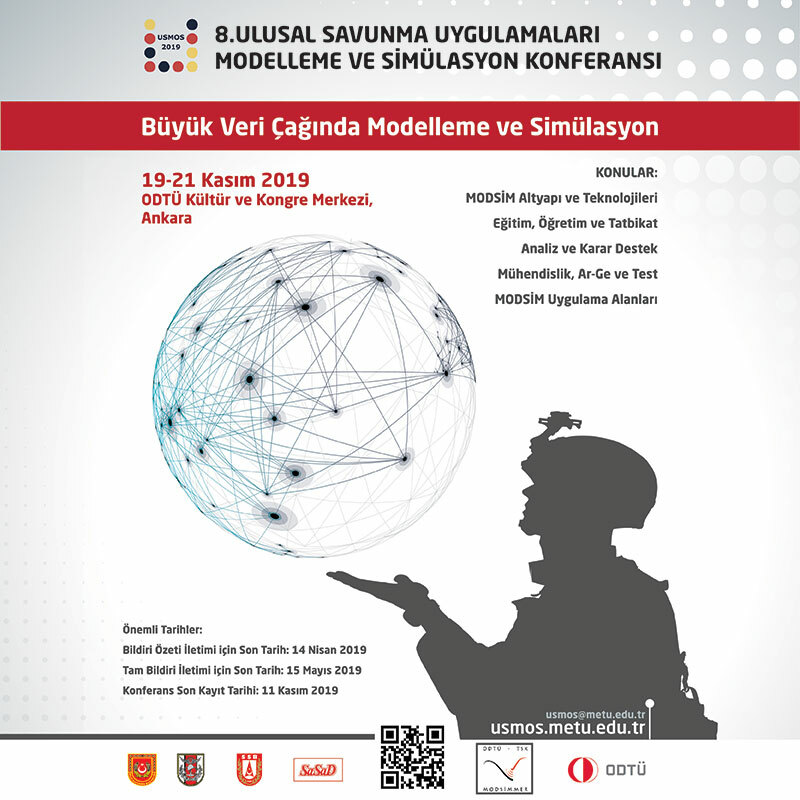 We consider that this simulator will provide great advantages in weapons, avionics systems, navigation and communication systems and air vehicles and electronic warfare system training, utilized particularly by the “Atak” helicopters. Regarding the recent status of the project; At this time we are in the 36th month since our start-up phase that began in January 2014. We have delivered our first product, the Weapons and Avionics System Trainer to our user. Being the very first delivery within the scope of ATAKSIM, this represents a significant milestone for both our company and our user. We aim to accomplish the delivery of our second product within the coming 3-4 months and then fulfill the delivery of the remaining products in the following months, thus finalizing the acceptance of all of our products by April 2018. In event of ATAK helicopters being exported abroad, we believe that the sale of the simulator product abroad would be an enormous contribution to Turkey’s exports, while also supporting Turkey’s reputation as a rising leader in the defense industry. In parallel, we evaluate that if the demand for new ATAK helicopters is increased in the coming period, then the requirement for manufacturing of additional simulators will also appear on the agenda. Defence Turkey: The Turkish Defense Industry Executive Committee decided to upgrade the SeaHawk Helicopters in previous months. How are the HELSIM-Lot II studies proceeding within the scope of this program? There are 17 helicopters with LOT II configuration in the inventory of the Naval Forces Command, and 7 helicopters with LOT I configuration are being upgraded to LOT II configuration within a retrofit program. We attach great importance to this as we are making a modification on a simulator manufactured by our own company for the first time. In line with the addendum and amendments on the existing HELSIM contract, we included the simulators with LOT I configuration; these simulators were delivered to the Naval Forces Command between 2008 and 2010 by Havelsan as part of the retrofit program. As of September 2016, we took over the first simulator and applied modifications and updates on radar, sonar, Link 11, electronic warfare, weapon systems and auto pilot software and hardware (modified consoles and panels). We took over the second simulator in November 2016 and launched our studies. We plan to finally include the motion simulator to the retrofit program. In April, 2017 our newly configured simulators are expected to be put into training service following the Level D qualification test. Defence Turkey: Could you please provide an update on the current status of the Submarine Diving Simulator (SUDS) program that you have been conducting for the Gür and Preveze class submarines? 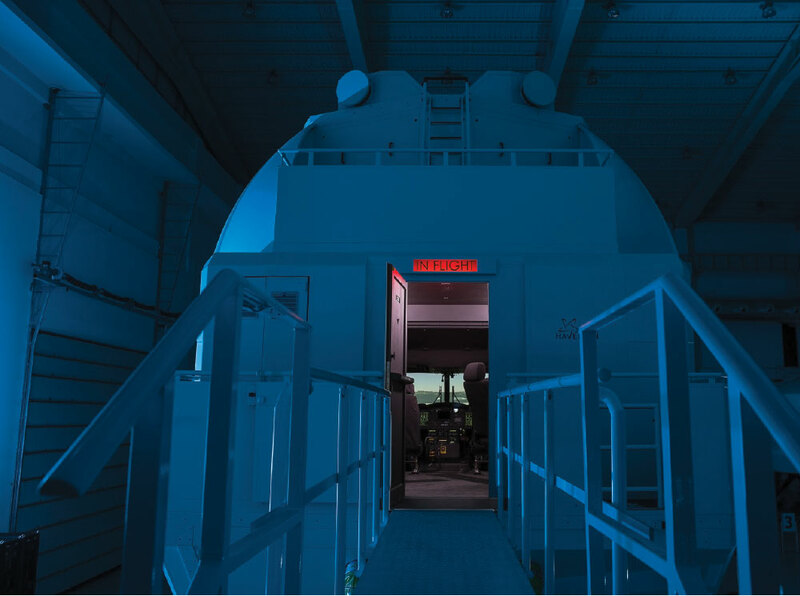 Following the simulator solutions for the Air and Land components, Havelsan launched its first simulator activities for maritime, with the Submarine Diving Simulator (SUDS) through the contract signed with the Undersecretariat for Defense Industries in October 2012. SUDS is planned to be used for the training of staff assigned to the U-209 Gür and Preveze class submarine maneuver rooms within the inventory of the Naval Forces. It covers the training simulations regarding underwater and surface operations and controls during diving and surfacing tasks. With the utilization of SUDS trainees will engage in activities such as orientation to panels and equipment and underwater dynamics, execution of procedural training and implementation of reflex development training under normal and emergency situations. This Submarine Diving Simulator, offering a cost-efficient training solution without any security risks, is composed of mathematical modelling, motion system and a diving cabin in addition to the basic simulator hardware. The motion system with two degrees of freedom is a system developed to create a feeling of real submarine movement during training of maneuver room personnel. Additionally, the mathematical modelling enables the fulfilment of the underwater and surface operations of the U-209 class submarines while simulating the dynamic movements, motion and characteristics of the submarine. The Factory Tests were completed in December 2016, on track within the scope of the project. Completion of the Simulator building is expected within the first quarter of 2017; constructed by Havelsan, the Submarine Training Center Command at Gölcük, is expected to be rendered ready for training by the middle of 2017. Defence Turkey: Havelsan is developing Armored Vehicle Simulators. You are also in charge of the development of the simulation for the AV-8 Armored Personnel Carrier manufactured by the FNSS for the Malaysian Army. Could you please share some details about the current status of this program? The AV-8 Simulator is one of our prominent projects as it is the first vehicle simulator that we have developed. In this project, we are collaborating with FNSS - the manufacturer of the vehicle. This gives us the opportunity to get the support we need as we are doing this for the first time and we are also able to instantly attain all data we require. The experience we gain here is very important for us as the land operation training center concept, supported with other land components and tactical capabilities, is a requirement and these vehicle simulators are at the very core of this business. We are working on providing the infrastructure necessary for the training of the crew in addition to driver training. AV-8 Armored Personnel Carrier simulators have contributed greatly to where we need to concentrate, the armored vehicle driver and tactical training. In a sense, it has broadened our horizons. We will benefit from the experience in land simulators requested by the Turkish Armed Forces as well. The factory tests of the project are being executed and we aim to complete the installation and end user acceptance in Malaysia within 2017. 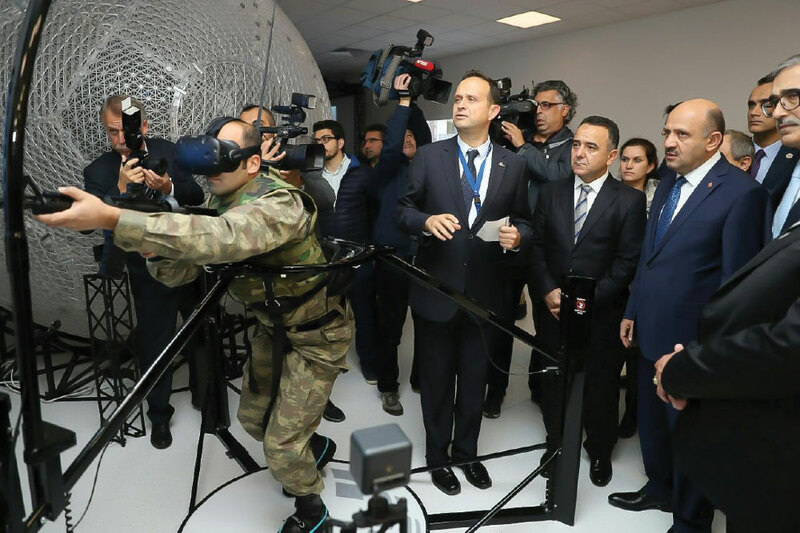 Defence Turkey: In an effort to achieve more effective outcomes by the Turkish Armed Forces (TAF) in the fight against terrorism, the Counter Terrorism Technology Development Center was officially launched with the participation of the Minister of National Defense. What types of capabilities are expected to be acquired in this area with the launch of this center? Moreover, what will be the training process for the TAF and Security staff active in the fight against terrorism? As you mentioned, within the scope of increasing the efficiency of the TAF and our security forces in their fight against terrorism, in addition to our solutions supporting the real operations such as SMARTOPS, Operation Planning, Image Analysis, Vehicle/Plate and Facial Recognition systems that facilitate the planning and execution of the operations, we aim to expand the awareness of the staff who will be active in counter terrorism activities in three dimensional virtual operation environments. These true to life environments are established with the help of the images obtained by drones or satellites. Trainees experience conflict training developed in line with real-life scenarios. The training scenarios are created in the developed individual and/or team conflict simulators and allow the users experience the situations they may encounter in an actual operational environment. This virtual environment allows users to develop the proper reflexes. In addition, the 5-6 configured spaces in the real training area, created by sampling the settlement zones in the southeastern region of Turkey, are equipped with the interior/exterior positioning systems, effect generators capable of creating sound, fog, smell etc. effects; laser kits mountable over the vehicles, weapons and personnel and imaging systems and thus have been rendered smart. Additionally, as part of the solution, an opportunity for the efficient assessment of the responses and actions of trainees following the execution of the operation is enabled through software developed that specifically allows the user to return back to an intended part of the training. In summary, within the scope of increasing the efficiency of counter terrorism operations, Havelsan has developed and will continue to develop real and virtual training technologies which provide support in the execution of operations. It will also enable training in this area to be conducted within better conditions and in compliance with the determined targets. Defence Turkey: You have delivered the Electronic Warfare Test and Training Range (EWTTR) within the scope of the Turkish Air Forces requirements in previous years. You have accomplished the sale of this EWTTR program to countries such as Pakistan, Saudi Arabia and South Korea. Within this framework, will there be new sales to new allied countries in the coming period? Is Havelsan in charge of the operation of other EWTTRs that are procured to the Turkish Air Forces and exported and the Performance Based Logistical Support Services as well? Could you please share details regarding what type of services and capabilities you provide in this area? The Electronic Warfare Test and Training Range (EWTTR) is a vital capability as it enables the suppression of enemy air defenses. The verification of the developed Electronic Counter Measures, their optimization and pilots’ experiencing these through the manoeuvers can be achieved with the help of this range. Countries desire to possess a deterrent air force, with an aim to incorporate into these types of ranges to their inventories. EWTTR also bears great importance as it is the first performance based maintenance and repair project we have ever accomplished. While executing EWTTR programs, I would like to emphasize that we have tested numerous EHTES fields so far and we specialized in this area by reflecting upon the lessons we learned, passing the knowledge gained to our next solution. Therefore, we are now introducing the EWTTR with new functions and integrated capabilities, and this naturally increases the interest shown in the system. In the near future, we foresee to conduct new EWTTR programs, particularly in the gulf region. Since EWTTR contains air defense systems procured from various sources, the performance based logistical support has to be innovative as well. The comprehensive operation and maintenance of systems, designed according to different maintenance levels and with various technologies, require a flexible structure composed of methods such as reverse engineering, I can easily say that Havelsan has already proved itself in this area. The logistical support contract, that we have signed with the Undersecretariat for Defense Industries for the EWTTR program, is a good example in this area. Keeping the range available for training, operation of air defense systems over the course of the training, conducting the preventive maintenance for all components, supplying the consumable materials and spare parts, are in the charge of Havelsan; the client merely measures the performance. This model assists us in becoming more competitive, enabling us to apply our own solutions in this area. Defence Turkey: Dear Mr. Özçakır, how is the operation of the F-16 simulator training and integrated logistical support services proceeding? Could you inform us on this issue? Not merely the F-16 simulators, but also the maintenance, repair and integrated logistical support of the existing helicopters, aircrafts and various vehicle/weapon simulators and simulation systems deployed in 26 different points at the various bases and training centers of our Land, Naval and Air Forces. These activities are being conducted by the technical staff appointed by Havelsan. As part of fulfilling integrated logistical services, Havelsan commits to executing the update of the systems and to constantly keep them active. Defence Turkey: Within the context of the Integrated Training Centers package, there is a requirement for qualified human resources and training staff that are trained under the auspices of the Turkish Armed Forces, individuals that are competent in their own fields, in order to establish new training concepts. This is especially important according to the demands of other countries. To this end, what is your approach toward gaining qualified human resources, such as seasoned industry professionals and retired military personnel, to enhance your current capabilities? Could you please share your activities in this respect? I would like to point out that we aim to develop all our solutions in diversified areas in accordance with the requirements of the TAF and Security Forces. Havelsan utilizes all manner of opportunities to determine requirements in this regard. Our aim is to plan and implement all our projects in line with the requirements of the TAF through periodic visits to the troops/headquarters at all levels, joint project meetings, workshops conducted with the participation of the security forces’ personnel, workgroup meetings and survey visits. Again, we benefit from our generals/colonels that are retired from our Armed Forces in our Training Consultation Group composed of high level staff. Moreover, within our organic structure we attach special importance to the employment of retired military personnel who have served in various levels of the TAF. For instance, the current Training Services and Integrated Logistical Support Group Head is a retired Staff Colonel and our Training Services Business Development Manager is a retired Land Pilot Colonel. Additionally, there are notable retired military staff assigned to our projects as pilots and technicians. Defence Turkey: Mr. Özçakır, within this context, can we say that you are adopting an approach of creating new markets by generating new turnkey concepts that fulfill simulator requirements, in accordance with training demands, instead of directly selling simulators to countries? As you also mentioned, without reducement our focus on the simulators and simulation technologies, that compose our main function area, we are developing simulators such as warfare training center, healthcare training center, maintenance training center, military exercise centers, joint warfare centers in tactical and strategic levels and simulation based integrated turnkey projects in urbanized terrain by expanding our product range further through the experiences we gained here. If requested by clients, we offer these concepts by embracing the training services and integrated logistical support in line with the determined parameters. Therefore, we tap into the cumulative technological know-how that we have acquired to date and we also increase our regional market share by broadening our product range. I would also would like to underscore that we persevere in bringing foreign currency into our country by selling training services to third countries by marketing the innovative capacity and value-add opportunity that the TAF flight simulators can provide. 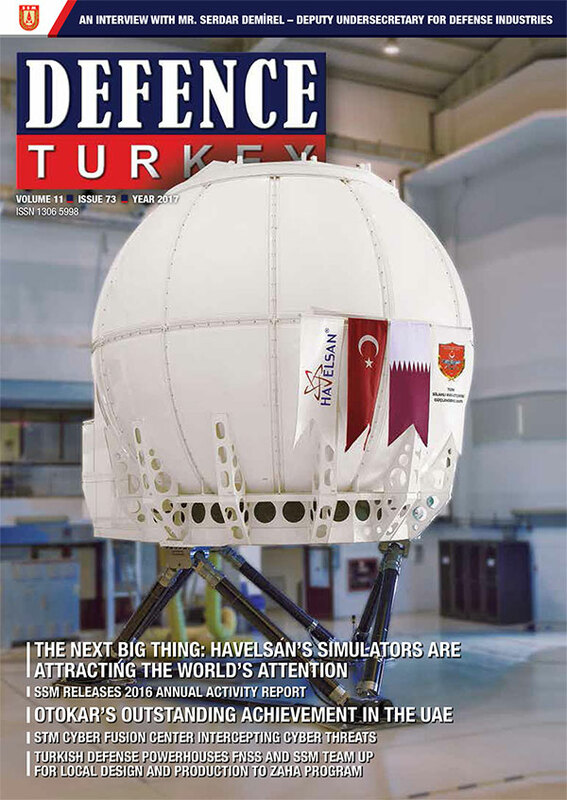 Defence Turkey: Havelsan has been gaining impetus in the area of commercial simulators recently, in addition to its services for the military. Within the scope of Turkish Airlines requirements, you plan to deliver the Boeing 737-800 NG Full Flight Simulator to Turkish Airlines very soon. What would you like to say about the difficulties you have been through during the reflection of the competency in the military simulation to the commercial simulation, the advantages of the experiences and acquirements you gained in the military area? I consider the capabilities that Havelsan has acquired in the area of the military simulator are top level. The helicopters and aircrafts for which we manufactured the simulators and training systems, particularly within the scope of military aviation projects, have additional operation oriented systems such as weapons, electronic warfare and night vision. Simulation of these complex systems and enabling these simulators to conduct their flights and duties, with interoperability, within a tactical periphery and modelling the friend or foe and other components under such circumstances require sound infrastructure, technological knowledge and capability. Over the years, we developed our technological infrastructure with the invaluable contributions of our highly-sophisticated customer, having stringent criteria in this area - the staff of the Turkish Armed Forces - and have reached an exceptional level. We assessed our determinations concerning the problems we endured during the management of these projects and in the timely delivery of our products to target destinations, aligning them with the required criteria and added these conclusions to our lessons learned within the context of our institutional development. We have been implementing these experiences during the manufacturing process of the Boeing 737 simulator for Turkish Airlines (THY). Manufacturing a simulator for THY, a company that is the apple of our country’s eye and bearer of our flag, was of great importance to us. I consider that we are successfully conducting this project, as a result of the contributions of THY and with the benefit of the experiences gained through our military projects. The Boeing 737 simulator is also prominent as it is the first simulator in which the binary data packages are being used. Hopefully soon we will gain a simulator with the very superior standards to our THY simulator. We are delighted at the excitement of this process. Defence Turkey: Could you please evaluate the development and manufacturing process of the Boeing 737-800 NG Full Flight Simulator being manufactured for Turkish Airlines? Also, when will this system be delivered to Turkish Airlines? Havelsan has achieved great capabilities with the military simulator. However, I would like to point out that the commercial flight simulator is a quite a change, having both pluses and minuses, in comparison to the military sector. The advantages are that one can reach information on the aircraft quite rapidly. While developing the most proper solution for THY, we used the most ideal solutions in respect of engineering and operational efficiency in the design of our simulator. We acquired the opportunity to set up a robust and successful supply chain eco-system for all our requirements on this subject. However, we encountered a newly developing concept in the commercial sector; while Boeing was providing a data package containing the flight data for the simulator via manufacturing companies in the conventional method, now this data is supplied to the new simulator manufacturers through indirect methods. Through the instrument of past experiences we took up a challenge. Havelsan is entirely in charge of the design of the commercial full flight simulator. In our design, we attached importance to the creation a large and spacious flight cabin, having an instructor Console and Observer Seat that allows the most effective monitoring of training and also bringing the maintenance and operation facilities as well as aesthetic appearance criteria into the forefront. Throughout the manufacturing of the cockpit, we decided that the simulated and actual equipment would be used with THY in order to best fulfil our customer’s expectations. In line with THY’s request, we shaped our design based on the content of the Boeing aircraft. From the simulator’s design to its development and manufacturing process, THY always guided our path and has had a great share in the realization of the best civil full flight simulator in the world. In this context, I would like to thank, once more, the THY crew for their support. In the final stage, the hardware installation and integration activities of our simulator were completed, to a large extent, and the simulator became airworthy. The integration and flight data verification tests are being carried out and we plan to complete the tests and acceptance activities by April 2017 and dispatch the simulator to the THY Flight Training center. Defence Turkey: Upon this agreement with THY, which is one of the most reputable airlines in the world, are you receiving new demands from the other international operators using the Boeing 737-800 NG? Also, do you have new R&D studies to expand your product portfolio for the Boeing platforms? The Boeing 737 simulator that we manufactured for THY is a turning point for us. This project is being followed with great curiosity and interest by the airlines that have Boeing airplanes in their fleet and by other simulator manufacturers. At the training symposiums where the ICAO, FAA, EASA and worldwide leading airlines attended, we are receiving crucial and positive feedback. Our negotiations regarding this subject continue especially with the gulf and neighboring countries. We take stock of the fact that awareness is spreading and requests will further increase following the delivery of the simulator to Turkish Airlines. According to the emergence and increase of these demands, we consider to expand our product portfolio regarding Boeing platforms. When we analyze Boeing orders, the narrow-bodied aircrafts stand out. Representatives of Boeing are also encouraging us in this direction in our negotiations as well. Our next simulator may be a Boeing 737MAX simulator. Defence Turkey: Meanwhile, activities are being conducted for the development of a full flight simulator for the Airbus A320 platform. How are the activities proceeding? Do you also plan a similar cooperation with Turkish Airlines in the upcoming period? The Airbus A320 aircraft is a platform also frequently used by airlines. Generally, half of the airlines’ fleets are comprised of these aircrafts. By using the experience we gained during the manufacturing of the Boeing 737 simulator and in order to strengthen our relations with Airbus, which is another significant aircraft manufacturer, and toward developing our product portfolio, we launched the manufacturing of the Airbus 320 simulator through our equity capital. The cockpit of the simulator as well as the part of software and hardware are ready and we are working on the other software and hardware. We will soon initiate the integration activities at the place where we manufactured the AW-139 helicopter simulator for the Qatari Air Forces. Moreover, we plan to integrate adaptive training software based on big data analysis capable of measuring the learning process of the trainee and providing the instructor the information on which subject should be given more attention. Thus, more time can be allocated toward implementing a tailor-made training system in this simulator with an innovative idea. In this way, instead of applying the same training methods, in the same period, to all trainees, enabling the opportunity to train in a short span of time and in an affordable manner according to different learning processes of trainees. Our negotiations are continuing with the executives of Turkish Airlines toward becoming the manufacturer and service provider of these simulators that are also required in this platform in the upcoming period. Manufacturing the simulators that train the pilots of our leading company THY is imperative for us. Besides, we do not wish to remain merely the simulator manufacturer for THY. We are willing to develop and diversify our product portfolio as well, through co-investment with Turkish Airlines. Defence Turkey: It is stated that by 2035 various airlines will be replace their aircrafts and approximately 40 thousand new commercial aircrafts will be put into service. Therefore, a requirement for a great number of pilots will arise. Considering this data, how do you evaluate Havelsan’s future in the potential flight simulator market for commercial aircrafts in the coming years? How do you plan to position yourself in this market? The number of airline aircrafts, which was approximately 22,500 as of 2016, is expected to reach an estimated 45,000 by 2035. A budget of $ 6 trillion is required for the actualization of this figure. Almost 70% of the aircrafts to be included in the new inventory will consist of narrow bodied single aisle aircrafts. Considering the pilots who will be retiring and the new aircrafts to be included in the inventory, the number of required pilots will be around 200,000. The survey indicates that approximately 50% of this pilot requirement will emerge in the Middle East and Asia - Pacific regions. Simulators will play an important role regarding the cost efficiency and relatively quicker training for this number of pilots. Within the next 20 years, there is a requirement for the manufacturing of 1300 new commercial airline - aircraft simulators worth a minimum of $ 15 billion. When the ageing of the simulator fleet in the inventory is considered, these figures rise to higher levels. The yearly average of airline aircraft simulators has increased in the world, reaching from 15 to 110 simulators in 2016. These impressive growth figures in the last fifteen years are a significant indicator of this argument as well. Inspired by experience spanning more than 34 years, the more challenging and successful military projects that we accomplished, the Boeing 737 simulators we manufactured for Turkish Airlines, the resources allocated to us by our executives and our foundation and from the esteemed support of our governmental authorities, clients and business partners, we are eager to be involved in emerging markets. As a consequence, we are penetrating markets in the Middle East and Gulf countries as well as Asia - Pacific markets. Through the instrumental experience and background of the Quantum 3D Company that we acquired in the United States, we are concluding an agreement composed of various business models with outstanding simulator corporations. Rather than not competing, we are seizing opportunity and we are actively engaging in negotiation with these companies on cooperation models. Catering to the training requirements of Turkish Airlines is one of our most important projects. We believe that the successful activities we will conduct with Turkish Airlines will create very significant opportunities for us in other regions as well. Defence Turkey: Havelsan officially took over the US-based Quantum 3D Company recently. After a year-long acquisition period, the process was completed with the approval of the United States bureaucracy and Havelsan Quantum 3D became a local company in the United States. Which capabilities and advantages will this company contribute in respect to both technology acquisition and gaining access to the North and South American markets? As you also mentioned, after in-depth market analysis and a challenging acquisition period conducted with the official authorities of the United States, we quite recently incorporated Quantum 3D to Havelsan. Quantum 3D is a well-known company in the Silicon Valley, especially with its competence in “Image Generation”. As you know, attaining images with high resolution constitutes an important phase of the flight simulators’ operation process. Therefore, with the inclusion of Quantum 3D to Havelsan, we believe that the crucial requirement in this area will be easily fulfilled in a cost-efficient manner. Our expectations from Quantum 3D will not be limited to this. Particularly, by paving the way for Havelsan’s access to markets which became less accessible due to geographical or political conditions, Quantum 3D will enable the marketing of not only our simulators but also our other solutions manufactured in other functional areas in a wide geographical space. In addition, it will facilitate timely transfer of knowledge, information and the latest developments that have occurred in the Silicon Valley to Havelsan. Defence Turkey: Do you plan a change in the existing structure of the company upon the inauguration of Havelsan Quantum 3D? Could you please share your evaluations? The necessary measures concerning the organization of Q3D and the management processes have been adopted. We are continuing to work on methods of cooperation for both companies, their mutual responsibilities, as well as the development of the product range and marketing model that would create synergy. Havelsan, as one of the Turkish Armed Forces Foundation’s institutions, will continue to develop the training and technology solutions that would contribute to the effective execution of the tasks of the TAF and our security forces, adding momentum to our country’s progress towards the export targets by marketing these solutions abroad. Havelsan closely follows the developments in its functional areas and efficiently conducts R&D activities by taking global technology trends into consideration. We are aware of our country’s expectations on our company and we have the capacity to fulfill these expectations. We are in a relation network that creates synergy with our Defense Industry Companies performing activities for the TAF’s combat readiness and other functional areas. We are ready for the future. My final message is “Keep following us!” and I would like to thank you for this interview.